Gardaí have been accused of failing to pursue people who make false insurance claims. Insurers said they handed gardaí files on scores of fraudulent claims in 2016, but nothing has been done since. 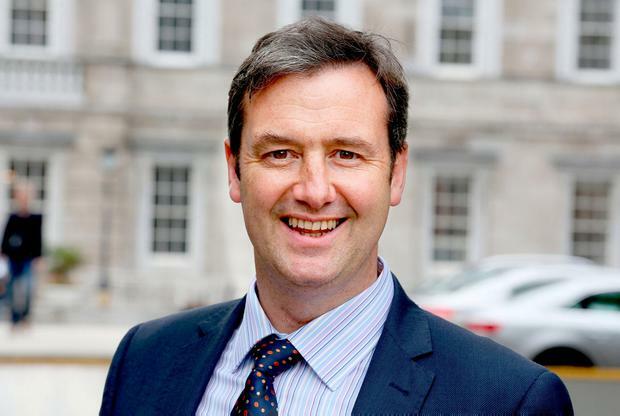 Junior Minister Michael D'Arcy, who is responsible for insurance, said he was "displeased" with the failure of gardaí to prosecute insurance fraudsters. Businesses claim they are being besieged by fraudulent personal injury claims, and are often forced to pay legal costs even when they win. Insurance Ireland's Kevin Thompson said members of the representative organisation handed over 167 files on fraudulent cases in 2016. The cases were "resting" with gardaí and it was not clear if there have been prosecutions. "It illustrates the dysfunctionality of our personal injuries and legal framework in assessing these claims and prosecuting people. It is deeply frustrating," he told RTÉ's 'Prime Time'. Mr D'Arcy said he was disappointed gardaí were not showing more willingness to go after insurance fraudsters but denied there was any need for new legislation. "Unfortunately, whether I am pleased or not with An Garda Síochána not prosecuting people for obvious fraud, I can't instruct them. It is up to the gardaí." Critics of the system argue there is no consequence for those who make false claims, whereas businesses have to pay legal costs to defend trumped-up claims. But Mr D'Arcy said there were sufficient sanctions in the Civil Liability and Courts Act 2004, which allows for 10 years in jail or a fine. He denied he was opposed to Government plans to put in place a dedicated Garda fraud unit, to be funded by insurance companies but be independent of them. He said he had a problem with the funding model, not the concept. Peter Boland, of the Alliance for Insurance Reform, said businesses are besieged by fraudulent claims, and have to pay legal costs, even when they win. He said members have taken cases with CCTV footage to gardaí, but the cases have not come to court. Small firms lobby group ISME said: "The Government isn't just ignoring this legalised theft. By its inaction, it is encouraging it." A Garda spokesman said: "There was never a decision made by An Garda Síochána not to investigate insurance fraud complaints. Each complaint is assessed on its merits. Where investigations are subsequently conducted, files are forwarded to the DPP. "Alleged cases of insurance fraud are reported by insurance companies to superintendents throughout the country and not just to the Garda National Economic Crime Bureau. In that context, it is not possible for this bureau to confirm whether 167 cases of insurance fraud have been reported to An Garda Síochána at this time."